Discover the jewels of ancient Indian architecture as you visit the spectacular Ajanta and Ellora Caves, both World Heritage Sites. Tour the New Palace and marvel at the martial arts of the Marathas, "Mardani Khel". Relish the spicy Goan cuisine and step inside a 400 years old Portuguese villa, a slice of living history. Explore the holy town of Sindhudurg. Ellora Caves is on the Agenda today! To get to this UNESCO world heritage site, disembark at the industrial town of Auragabad. Named after, the last great Mughal Aurangazeb, the entire town and its monuments showcase deep Mughal influences! The must- visit monuments are the Daulatabad Fort, Bibi-ka-Maqbara and the city's 52 gates. While, you are enjoying a succulent breakfast, the train will arrive at Auragabad! From Auragabad, a scenic drive will take you to the much anticipated Ellora caves! Carved into a side of a Baltic hill, the caves are situated just 30 kms away from the city. Ellora caves are regarded as the finest specimen of cave-temple architecture in India. With over 34 rock-cut shrines, each cave represents Buddhist, Jain and Hindu art dating from the 4th to 5th century AD. Remember, the 12 caves to the south are Buddhist, the 17 in the centre Hindu, and the 5 caves to the north are Jain. Don't miss out on the Kailash temple! An engineering marvel, the temple is meant to be a replica of Shiva's celestial abode on Mt. Kailash. 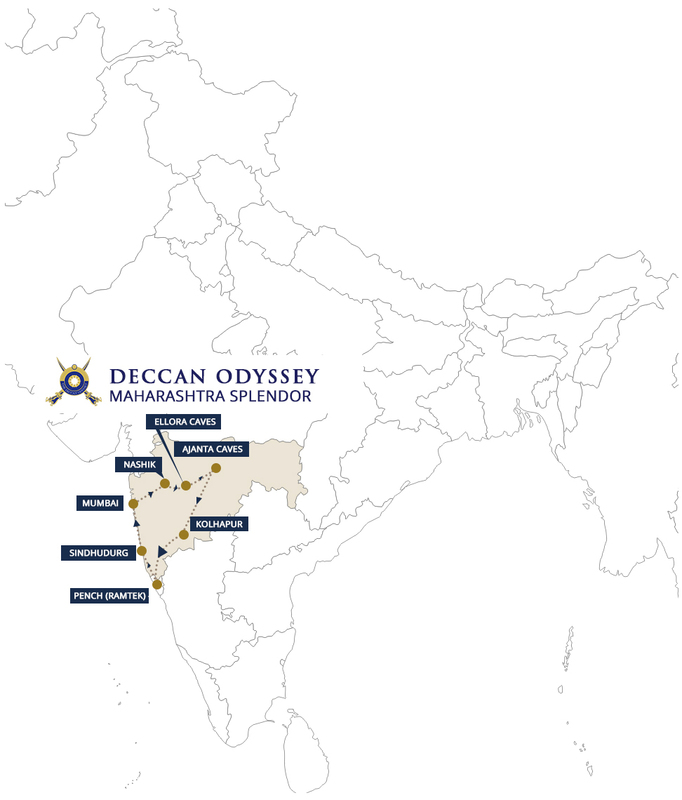 Breakfast on board, lunch at the spice plantation, high tea at Palacio de deao and dinner on board.Overnight on board the Deccan Odyssey.